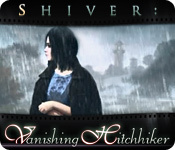 Shiver: Vanishing Hitchhiker is rated 4.4 out of 5 by 144. Rated 5 out of 5 by JupiterMom from My favorite game so far Hands down this reigns as my favorite game I have played, and I have played at least 30+ games in the last year Great story, very spooky, kept me guessing all the way- I am so looking forward to playing another Shiver game Played on advanced it was actually challenging, and the storyline had many twists and turns! HOGs were not too hard, which I like as I am NOT a huge fan of HOGs Sad its finished! Rated 5 out of 5 by Possum_girl from Loads of fun If you like spooky games with a challenge, then this is for you. Highly enjoyable! Rated 5 out of 5 by piccolocv from Excellent really good game. Good puzzles, lots of HO, some head-scratches. good graphics. Rated 5 out of 5 by Ethereal924 from Gave ME the Shivers! This game was just plain creepy. It was VERY realistic. I'm a HOS fan and I was very impressed with these. 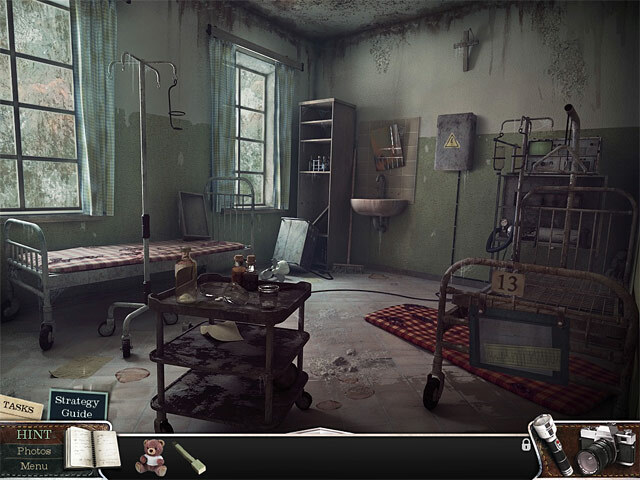 All of the objects were relevant to scene and just added to the spookiness of the surroundings. I was on the edge of my seat the entire time...convinced that something or someone was going to jump out at me at any moment. Well done! Rated 5 out of 5 by Seymour_Butz from Lots of play time It kept going! It was also drawn very well. Rated 5 out of 5 by cadencefish from Awesome Spooky Adventure! This game provided excellent entertainment - the storyline was engaging and spooky enough to scare me just a little.. okay... maybe more than a little (and I am a veteran horror movie watcher)!. The clues and dialogue are interesting, and the characters aren't "cheesy" at all. The plot flowed really smoothly, and the graphics were stunning. I finished it over two nights, but there's plenty of fun game play there. The puzzles weren't too hard, so this may not be one for people who enjoy a real challenge. But I like more story-driven games, where the puzzles are just a bit of a fun break away from the story, so this suited me just fine. If you're looking for a game that's got a great plot, excellent audio track, really sweet artwork and interesting characters, this is it! Rated 5 out of 5 by Yvesdiva from Enjoyed it more than I expected. I thought I had seen this game before, and downloaded the trial without much enthusiasm. But as the game progressed, I couldn't stay away from it. It was wonderfully satisfying, and I wish I had gotten the deluxe version. I may still have to buy it. Great game. Rated 5 out of 5 by cbilbo from Good challenging game I really did enjoy this game. The challenge level was fairly good. The hidden objects were easy to find with an exception to a couple. The puzzles didn't present a huge challenge. They were hard to solve. The storyline was bad. The cut scenes were good. In all this was a lengthy game. Which I do like. The challenge factor wasn't that hard. I would recommend this game to anyone that isn't looking for anything that not too hard, but relaxing! Rated 5 out of 5 by starlillies from Beautiful Atmosphere The best thing about this game was the graphics, by far. Not to say the game wasn't entertaining, although going back and forth so much in the same small town area was a bit tedious. It was still enjoyable. I loved the moody, rainy atmosphere, which was very well done, and looked forward to getting back into that world whenever I had some downtime. As for the storyline, I got so caught up in the tasks and atmosphere that I lost track of what the point of it all was, but it didn't really matter. There were some spirits I had to help, pretty typical. Rated 5 out of 5 by kososi from prfect it was the most interesting PC game I've ever played . Rated 5 out of 5 by dm_billy from Definite buy for HO This game is a challenge. I usually do not have a hard time navigating through the tasks but I got stumped a few times. Atmosphere was grim but not cheesy. Interesting, coherent story. I liked the style of this game the best out of any other HO. After I finished went out and bought poltergeist too. Rated 5 out of 5 by GabrielleG from Spooky! As far as games go, thumbs way up for the creep factor! Seriously, I loved everything about this game...the storyline, the voice overs, the graphics, the puzzles and the soundtrack, all very well done. I only wish the game play lasted longer. I will definitely be buying Shiver : Poltergeist. Rated 5 out of 5 by neilskinut from Great story and game Good game. Got it for $2.99 and it was worth full price. Not too much running around to find clues. Surprise ending. I was a little concerned that not enough light for the HO but finally noticed I could use the flash lite. Worth buying. Not a hard game at all. Rated 5 out of 5 by superjoy777 from best game ever So far this is the best I have played. Great Storyline. Super fun! Rated 5 out of 5 by Crickettt from I really enjoyed it It had a lot of my favorite things in it: a hint button that would point you in the right direction and not recharge until it actually gave you a hint, a decent story, interesting puzzles (including driving boats and others I have never seen) HOs that were not too hard and had a bit of interaction and not too much back and forth stuff. I like to be able to progress easily and just relax. It even had decent music and was a good length. There were a few really cute and fun things in this game. I can't imagine anyone not enjoying this unless it was not complicated enough for them, but it was great for me. Rated 5 out of 5 by Calypso3 from Beautiful Graphics, Sound, but a few questions Let me say I love this game! The graphics and sound alone kept me glued to the seat. When I see those falling leaves and hear the thunder and rain I'm hooked! However, I have unanswered questions: 1. Why did the boy want to kill? 2. Who was the old woman? Was she Christy's mother and are you "the player" the one that a note was talking about when it said "I implore you not to see that boy again."? 3. What was your "the player's" relationship or past association with Christy and the teddy bear? 4.. What was the cabinet or whatever that the fire went into and it said it looks like it goes to another world? That was never elaborated on at all. Some things were a little predictable; mainly the old woman turning into a skeleton. When I saw her with her back to you I immediately thought of Norman Bate's mother on Hitchcock's original psycho. Once again it was a very intriguing experience. My grandson played with me and my wife at times and my grandson kept saying: "I love that music." I kept saying: "I love the rain and thunder and graphics"! If you love spooky music, hauntingly BEAUTIFUL scenes and mystery, buy this game! If I thought the collector's edition would answer some questions I'd buy it. Rated 5 out of 5 by coha92 from Extraordinary Game This is one of the best games I've played. Everyday I play a game and it has to be excellent for me to give a review. Most of the games are Good but this one surpass the expectations. No to easy but fair enough to go through without stress. I really enjoy the story line, the graphics, the music, the hidden objects scenes, EVERYTHING was just PERFECT to keep me playing non stopping till the end. Rated 5 out of 5 by cuorips from I love this game ! 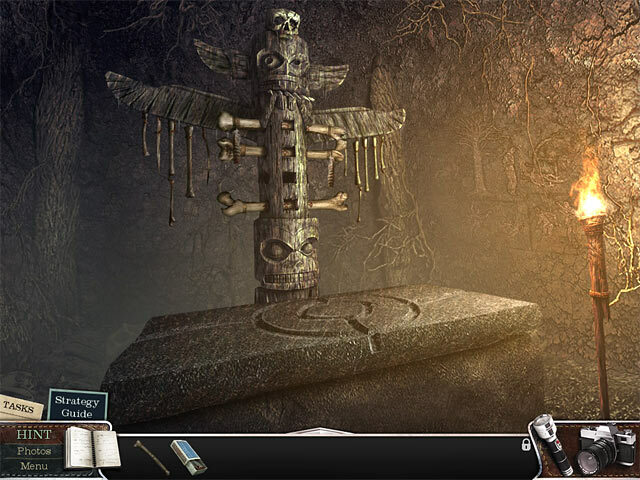 Great game, spookie and dark, takes forever which I love, lots of great puzzles and strange landscape. Good graphics. Rated 5 out of 5 by Deejaycee522 from Great Hidden Object Game One of the best hidden object games I have played in a long time. 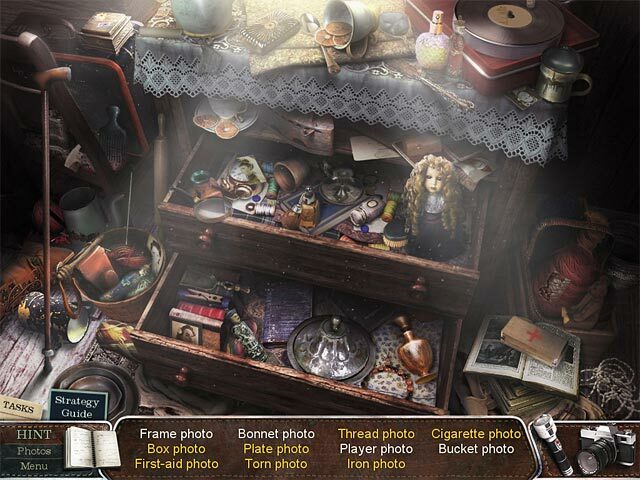 Not your typical hidden object game. Shiver: Vanishing Hitchhiker requires you to go to many different scenes and pick up objects to use to solve the mysterious events taking place. Great game - you won't be disappointed. You have to use your thinking cap, because this one is very challenging. Rated 5 out of 5 by Mrs_Kim from Shiver: Vanishing Hitchhiker Bought this game after trying the demo for a few minutes and I like it. The atmosphere is creepy, you can feel ghosts lurking on the corner of the house, the church, the hospital, basically all the places in this game. This is a great game, one of the best from Big Fish and definitely you shouldn;t miss this one. Rated 5 out of 5 by tenaciousagent from My favorite! LOVED IT LOVED IT LOVED IT!! The mood of the game was very intriguing. Couldn't stop playing it! The end left me hanging and I can't wait to play the next one to see what happens!! Rated 5 out of 5 by GrannyGoodness from spine-tingling suspense! this game gave me real-life shivers! thrilling & suspenseful, wonderful art, spooky sounds, & a creepy mystery. LOVE it! Rated 5 out of 5 by namesASH from Great Twisted Game!!! The story line is very well written. The HOS scenes are well done, as well as the overall game. I have played this game twice which I usually do not do. I highly Recommend this one. Rated 5 out of 5 by purringmonkey07 from Kept me up all night! I loved this game it kept me interested and on my toes.I have played more than once, worth every penny I paid for it. Rated 5 out of 5 by Shopluvr from Loved this game. Dark and mysterious. I loved playing this game. It actually was a little dark and mysterious. There were no technical issues. I highly recommend it. Rated 5 out of 5 by mushmouse22 from BETTER THAN MOST!! I was impressed with the graphics, the story line was the usual (ghosties and such) the game play was interesting and gently peppered with HOGS, it wasn't like i was going to every scene and having to look for objects in a cluttered pile! i will say the sparkly thing that happens that is supposed to "help you" without pressing hint, well it more hindered me, i kept thinking i was missing something and i didn't actually have to be there. I did in overall however REALLY ENJOY THIS GAME!!! going to play the next SHIVER!